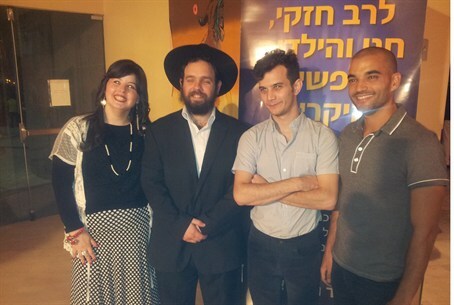 Chabad’s famous work in south Asia inspires a new television show on Channel 2. A new Israeli television show finds entertainment value in the Chabad Lubavitch movement’s renowned worldwide outreach. The show, Kathmandu, focuses on the fictional story of a young Lubavitch couple doing outreach in Nepal. Actor Michael Moshonov, who plays the part of the husband, said he got into the character by speaking to the brother of one of the real-life Chabad emissaries in Nepal. “He told me how to act and how to show it in the most honorable way,” he said. He also read about the Lubavitcher rebbe, he said. Rabbi Moshe Kotlarsky of the Chabad movement’s educational arm said the show reflects well on the real emissaries in Kathmandu. “It became famous because of the good work that they’re doing,” he explained.